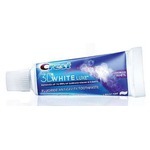 This toothpaste works amazingly well to provide quick relief from tooth pain. My dentist recommended it to rub on my teeth when they hurt, I was unsure at first because it was so expensive but this product is worth every penny if you have tooth pain! I use Sensodyne toothpaste for over 5 years now.My gums and teeth are pretty sensitive and this toothpaste helps my gums not bleed as much when I brush. I have very sensitive teeth, and after recent teeth cleaning, couldn't drink anything cold or even room temperature, After starting using this tooth paste, I completely forgot about my sensitivity. On the tube it is recommended to use only for a limited time, but I use it every day. I can't imagine my life without it! Tried other toothpastes for sensitive teeth, but nothing else worked for me. My dentist recommended me to try sensodyne insta relief out for my severe sensitivity and after several using I really started to seeing amazing results. Im thankful that it exist. Sensodyne instant relief toothpaste is fantastic at relieving pain due to sensitive teeth. My teeth were les sensitive from the very first time I used it. After the second and third time the sensitivity was pretty much non-existent. 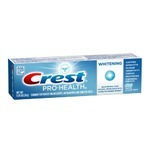 I would definitely recommend this toothpaste to anybody with pain due to sensitive teeth. over the years my teeth have become more and more sensitive and I rely on Sensodyne products to ease the pain when eating cold foods. The Sensodyne rapid relief toothpaste is one of my favorites. It makes my mouth feel clean and fresh and allows me to eat more of the foods I would normally tend to stay away from. 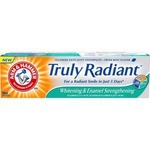 I rely on this product and would definitely recommend it! Sensodyne Rapid Relief Toothpaste really gave relief within 3 days. I brushed twice a day and on the 3rd day, gave it the test. I ate ice cream which normally I steer away from since it caused pain in one of my teeth. I was able to eat with no pain! I would definitely recommend! 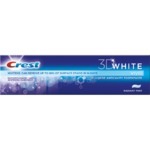 I have been using regular toothpaste-colgate, crest or whatever is on sale. I finally tried Sensodyne because my front teeth are very sensitive to cold and I haven't been able to enjoy ice cream in a while. I brushed for 3 days and notice an immediate difference. I can now drink and eat cold foods with no problem. For sensitive teeth use Sensodyne! Sensodyne toothpaste was the answer to my very sensitive teeth, now I can go outside in the winter and not have my teeth hurting all the time. It also helps when I am eating hot or cold food, which would give me much pain before I started using Sensodyne!